These planets beyond our solar system – exoplanets — were discovered with the help of NASA's Kepler Space Telescope, which launched in 2009. 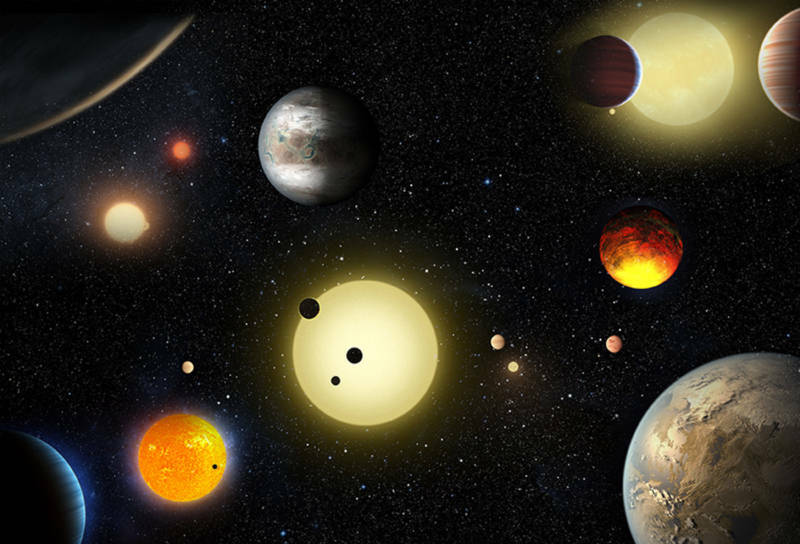 "When NASA decided to build and launch the Kepler Space Telescope, we did not know if exoplanets — especially small, rocky exoplanets — were common or rare in the galaxy," says Paul Hertz, director of the Astrophysics Division at NASA Headquarters. "We now know that exoplanets are common, that most stars in our galaxy have planetary systems, and that a reasonable fraction of the stars in our galaxy have potentially habitable planets." "The process of verifying a candidate as a true planet has traditionally involved detailed, in-depth study on a case by case basis," says Timothy Morton, a researcher at Princeton University. Trouble is, that takes time and a lot of effort. Now he and his colleagues have published evidence, in the current issue of The Astrophysical Journal, showing that a slew of Kepler's observations have more than a 99 percent probability of being real planets. "This is the most exoplanets that have ever been announced at one time," says Morton. And it more than doubles the number of verified planets discovered by the Kepler telescope. Based on size, nearly 550 could be rocky planets like Earth. And 9 of them orbit in their star's "Goldilocks Zone" — the region around a star that's not too hot or too cold for liquid water — and maybe even life. Previously, the Kepler team had only known of a dozen such planets. In addition to the 1,284 newly verified planets, Morton's analysis shows that an additional 1,327 candidates spotted by Kepler that are more likely to be planets than not — but they need more study for confirmation. Natalie Batalha, the Kepler mission scientist at NASA's Ames Research Center, says the space telescope is giving researchers a real sense of what kind of planets are out there. "You're talking about tens of billions of potentially habitable, Earth-size planets out there in the galaxy," she says. Next year, NASA is planning to launch another space telescope called TESS. It will be similar to Kepler but will search the entire sky to find Earth-like planets around closer, brighter stars. Astronomers should have an easier time studying those planets to learn more about what they're like and whether they might be right for life.